You're a jet-setter. An adventure-seeker. You don't stay in one place for very long. Tell your eye makeup to do as you say, not as you do. This dual-action power primer works 360 degrees around the eyes to help eyeshadows and concealers stay put. You may be exhausted from all that running around, but your eyes still look gorgeous. Ingredients: Aqua (Water), Isododecane, Butylene Glycol, Isononyl Isononanoate, HDI/Trimethylol Hexyllactone Crosspolymer, Silica, Polyglyceryl-4 Isostearate, Talc, Cetyl PEG/PPG-10/1 Dimethicone, Hexyl Laurate, Sodium Chloride, Mica, Tribehenin, PEG-30 Dipolyhydroxystearate, Sorbitan Oleate, Phenoxyethanol, Dimethicone, Disteardimonium Hectorite, Caprylyl Glycol, Ethylhexyl Palmitate, Methicone, Propylene Carbonate, Tetrahexyldecyl Ascorbate, Tocopheryl Acetate, Isopropyl Titanium Triisostearate, Silica Dimethyl Silylate, Hexylene Glycol, Sodium Hyaluronate. [+/-: CI 19140 (Yellow 5, Yellow 5 Lake), CI 42090 (Blue 1 Lake), CI 77007 (Ultramarines), CI 77163 (Bismuth Oxychloride), CI 77491, CI 77492, CI 77499 (Iron Oxides), CI 77891 (Titanium Dioxide)]. 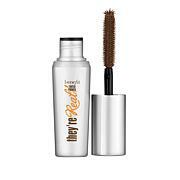 Wish there was more product in this tube for the price, but it works well under eye shadow. I really am glad I purchased this Benefit product. 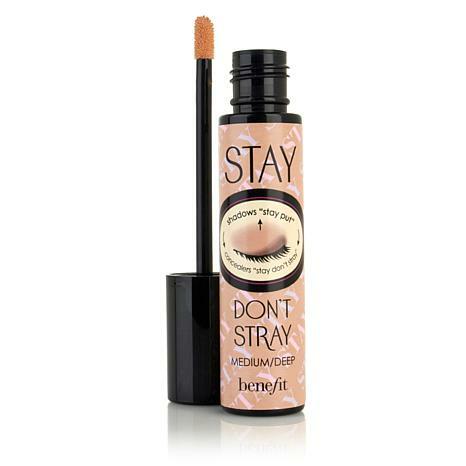 I typically use the Mac paint pot which works well also, but this Benefit stay dont stray actually held my eyeshadow from 9am until 2am the following night when I was ready to wash my makeup off! I used it for a cut crease and it looked absolutely beautiful! My new secret weapon of my makeup arsenal! I love Benefit! This is the best primer I've ever used. 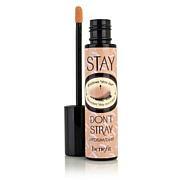 I also sometimes use a drop before my concealer for those daysthat I need a little extra coverage. I love Benefit products. This worked well for me. Perfect shade and my eye makeup stayed nice all day.